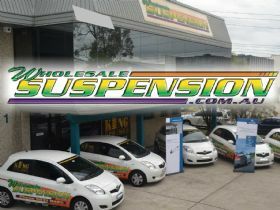 Wholesale Suspension has been operating in the western sydney since 1993 and has over 35 years experience in the industry. Through our vast product knowledge and a large stock range of specialised products, we have developed excellent relationships with most of the suspension industries largest names. 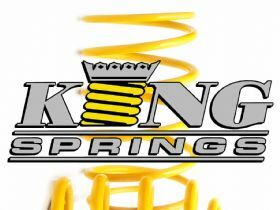 We are known as KING SPRINGS SYDNEY and are the biggest distributor of KING SPRINGS in NSW and carry over 1000 pairs in stock at all times. It is because of our professional approach and focus on quality customer service that we have now been chosen as the NSW distributors for brands such as KONI, BILSTEIN, ULTIMA and TEIN. We are affiliated with all major automotive bodies including MTA, MVRIA, IAME and AAAA ensuring you will always receive the best service and advice available. 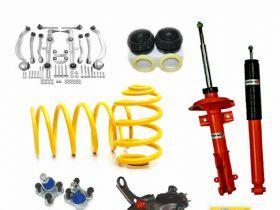 At Wholesale Suspension we take pride with our , attention to detail, competitive pricing and customer service to ensure the most important person to us, you the customer is always satisfied. If you need anything related to Suspension, Steering please do not hesitate to call. With access to one of the largest range of suppliers we can offer you a very high level of service and guarantee you the satisfaction you need. Our sales department is open from 8.00 - 5.00 weekdays.